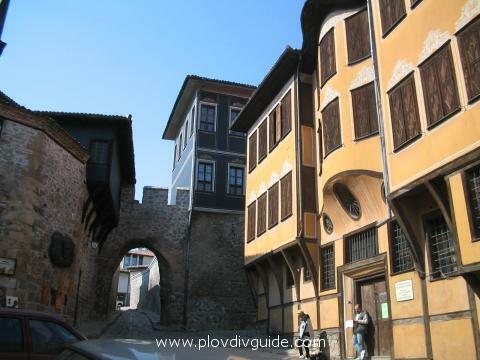 The whole development of Bulgarian national architectural tradition can be traced out in the Old Town of Plovdiv. 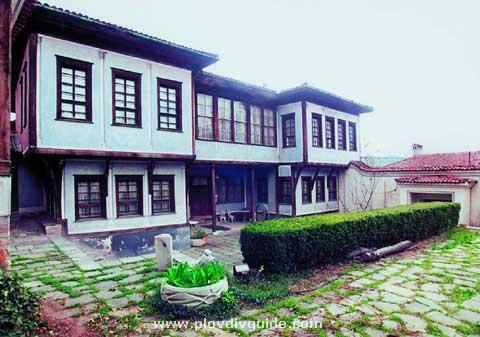 It begins with the older houses, bearing the characteristics of the Bulgarian mountain-house with its open porch, assymetrical plan and more humble decoration. 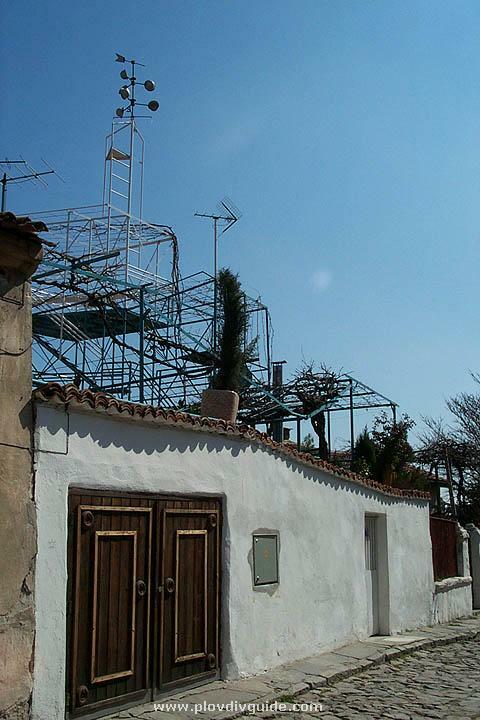 Gradually this type of house develops. The open porch is replaced by a covered parlour, the size growing larger. 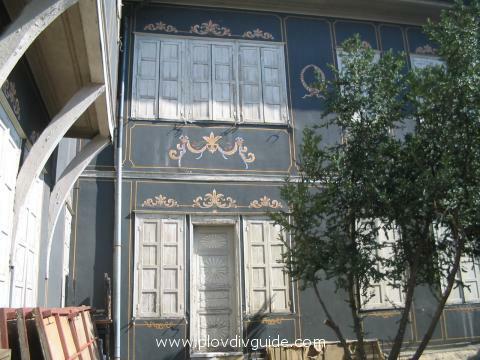 This type of symmetric houses have painted walls - lively, multi-coloured patterns, enriched with elaborate ornaments and landscapes. An interesting spot in the painted interior is the decorative niches, the so called alaphrangas, richly decorated with flowers or landscapes. 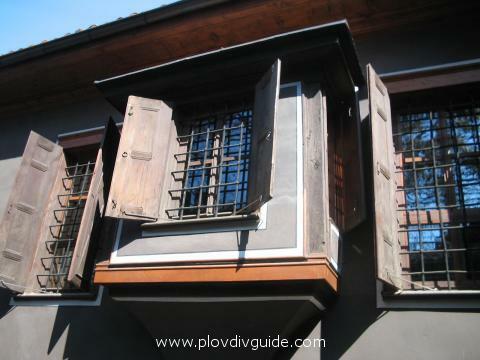 The ceilings of the Plovdiv houses represent a rich variety of wooden-carved geometric pattern ornaments. Very often they are complemented with a multicoloured decoration of painted ornaments. 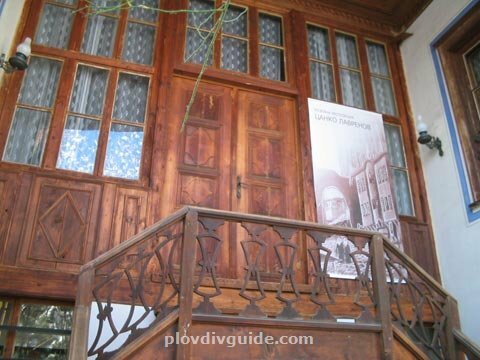 Photo 5: The house of Argir Koyumdzhioglu (todays Ethnographic museum), at 2 Dr Chomakov Str. 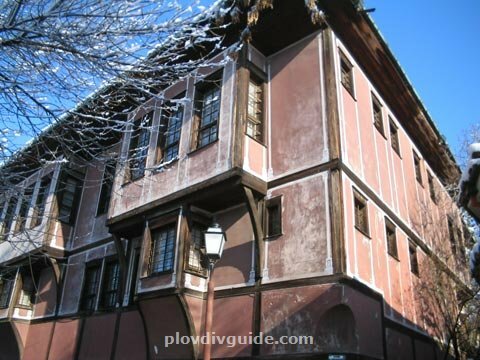 - also called The Royal House.Built in 1846-48 next to the Hissar Kapia Gate, by the famous master Georgi of Constantinople, it was named after its owner, the eminent Plovdiv tradesman Argir Koyumdzhioglu. 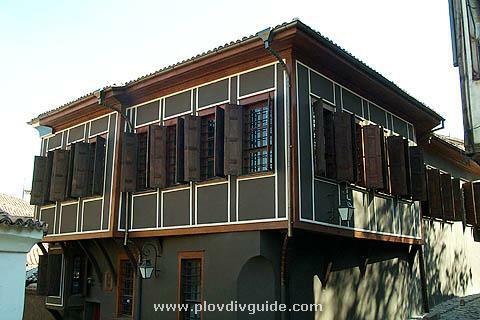 The Koyumdzhioglou House is a brilliant example of the Plovdiv symmetric house. The main facade facing the yard is accentuated by a portico, supported by five pillars. 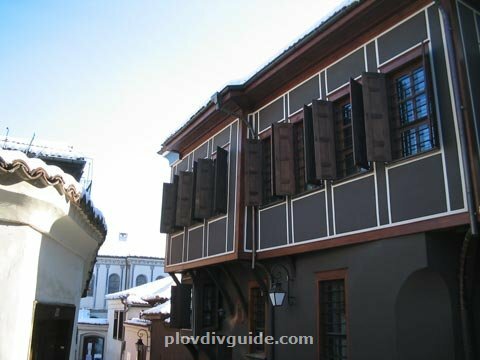 Photo 2: The Art Gallery building in the Old Town, at 14-A Suborna Str.This is the second in Bulgaria in reference to size and importance art gallery.Since 1975 it has been displaying the permanent exposition Icons from the Plovdiv Region (16th - 19th c.). 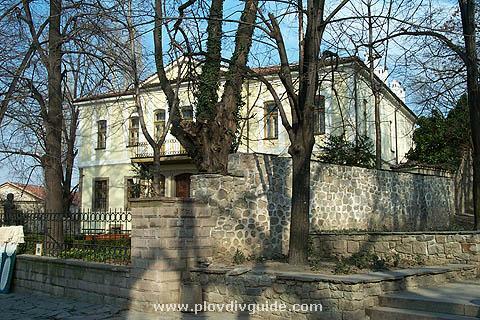 Photo 1: The house of Georgi Mavridi (todays Lamartine Museum), at 19 Knyaz Tseretelev Str. 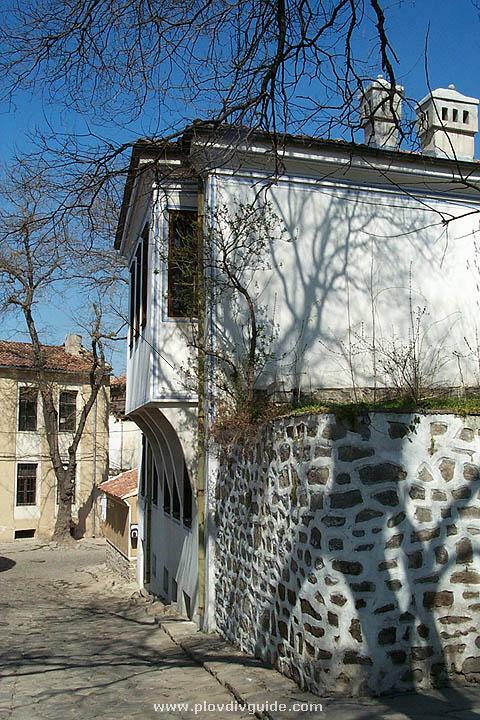 The house was built in 1829 at a corner-spot of three streets, with difference in the levels.While passing through Bulgaria in 1833, the great French poet Alphonse de Lamartine spent only three days in the house of Georgi Mavridi but that was quite enough for the house to be called more often after Lamartines name rather than its real owners. 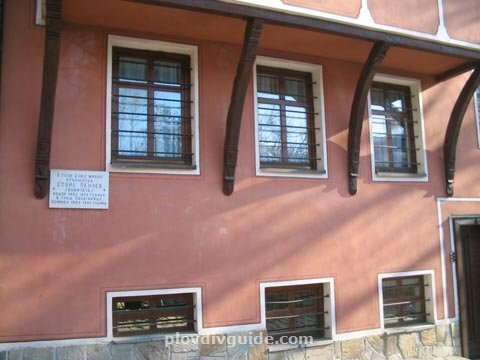 Photo 3: The Zlatyu Boyadzhiev Museum-House, originally the House of Dr Stoyan Chomakov, at 18 Suborna Str.This house was a property of Dr Stoyan Chomakov - an outstanding figure in the struggles for church and national independence in the end of the 19th century. 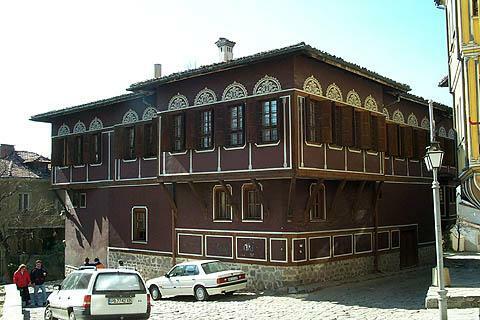 The house was built in 1858-1860, and is the most impressive of the symmetric buildings, with solid walls and without a portico.The house has been restored in 1980. At present, seventy-six paintings from the two periods of work of the outstanding Bulgarian artist Zlatyu Boyadzhiev (1903-1976) are exhibited there. 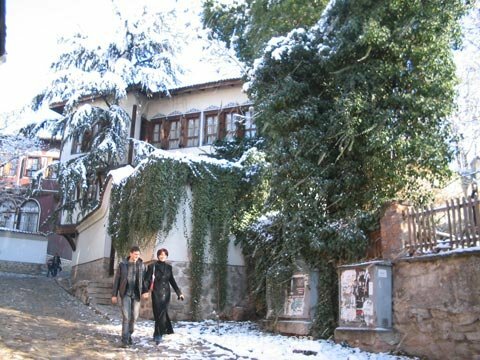 Photo 4: A backside view of the House of Dr Stoyan Chomakov, at 18 Subourna Str.Today it hosts an art exhibition of the outstanding Bulgarian artist Zlatyu Boyadzhiev.Here are The Kings Stables (a popular live-music pub) open-air stages. 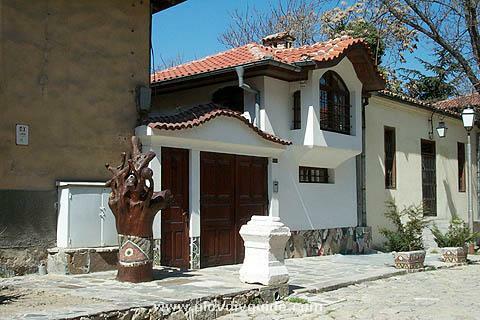 Photo 6: A beautiful restored house at Knyaz Tseretelev Str. 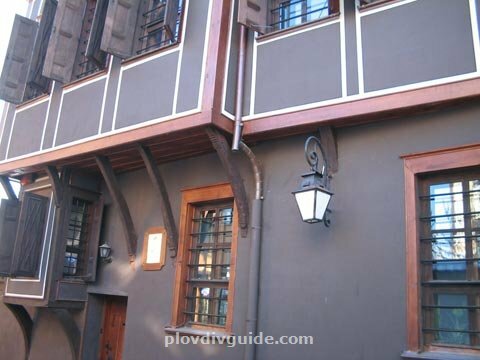 in the Old Town.Only wooden ceilings in first and second floors are original,all other details are new. 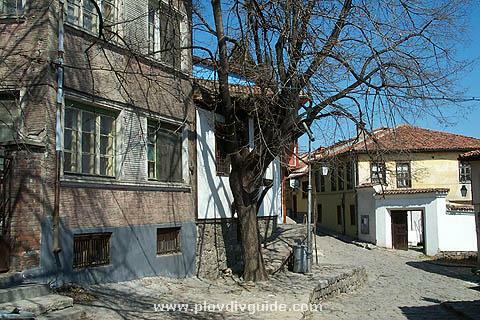 Photo 7: A beautiful restored house at Knyaz Tseretelev Str. 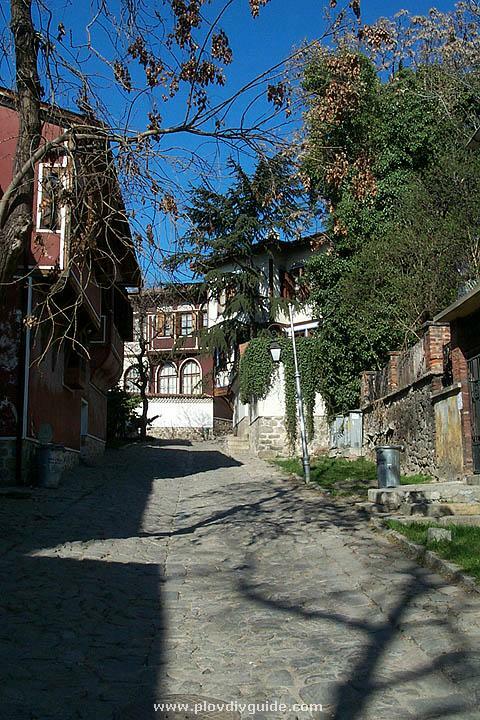 in the Old Town. Photo 8: The Old Town - the house with the weathercock, at Zora Str. 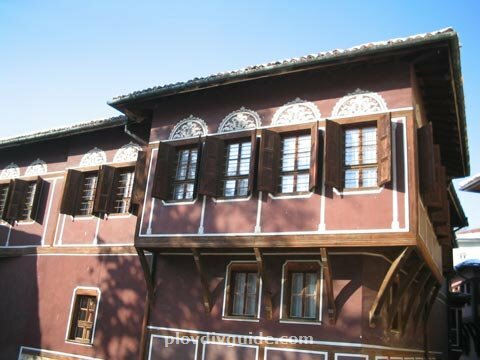 Photo 9: The house of Dimitar Georgiadi (built 1846-48), at 1 Tsanko Lavrenov Str., right next to the Hissar Kapia gate.With its perfect planning and workout, splendour and artistic level of decorative scheme, this imposing house stands among the first-rate models of the Bulgarian National Revival Period architecture. 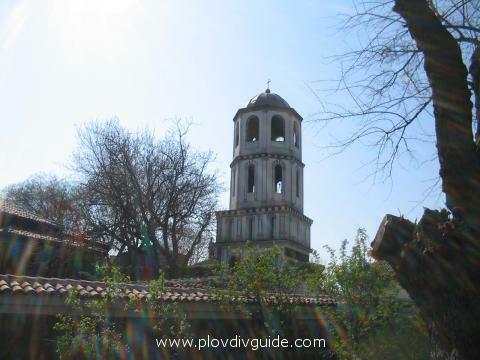 It was once owned by the Plovdiv merchant Dimitar Georgiadi. 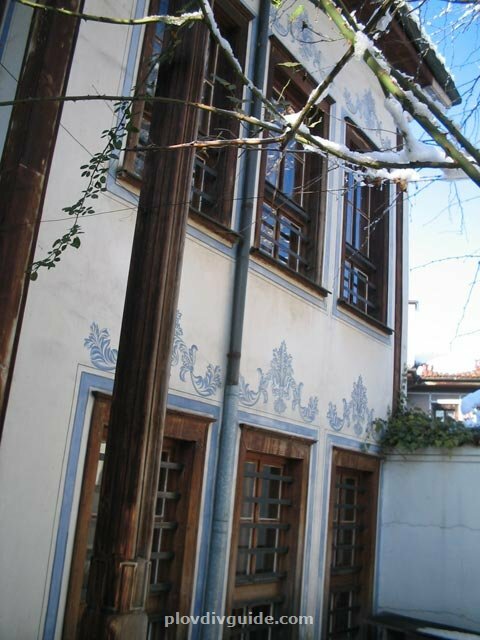 It was ordered as a dowry present to his wife by her father, the eminent fabrics trader Georgi Kendindenoglu. 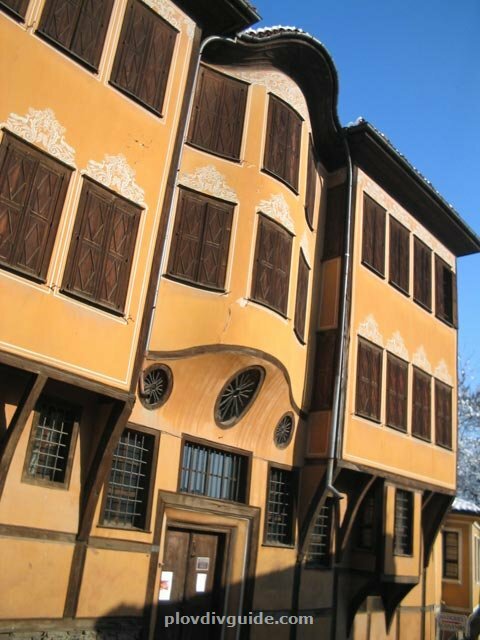 The building was erected for Georgiadi in1846-8, by the famous master Hajji Georgi of Constantinople, who created many houses in the Old Town, among which the house of Koyumdzhioglu (the Ethnographic Museum). The two-flight staircase leading to the first floor is a luxurious masterpiece. Four rooms are situated around the vast entrance-hall. Each of them has an alaphranga (a popular for the time niche in the wall) and beautifully wood-carved ceilings and closets. 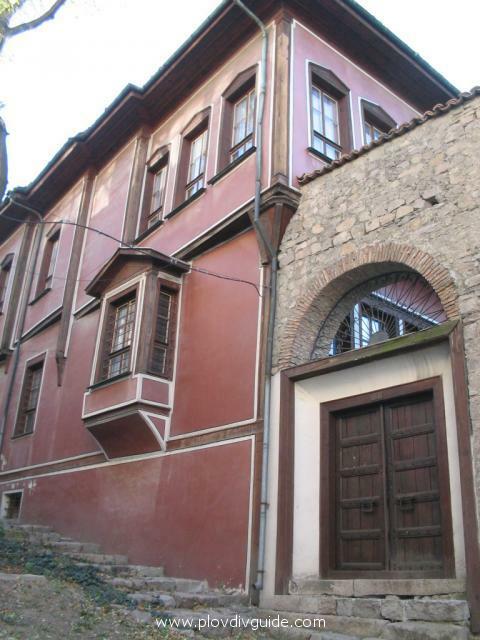 Photo 10: The house of Dimitar Georgiadi (built 1846-48), at 1 Tsanko Lavrenov Str., right next to the Hissar Kapia gate.Another view at the house of Dimitar Georgiadi. Photo 11: The houses at Strumna Str. (strumna is the Bulgarian word for steep). Photo 12: The houses at Strumna Str. (strumna is the Bulgarian word for steep). 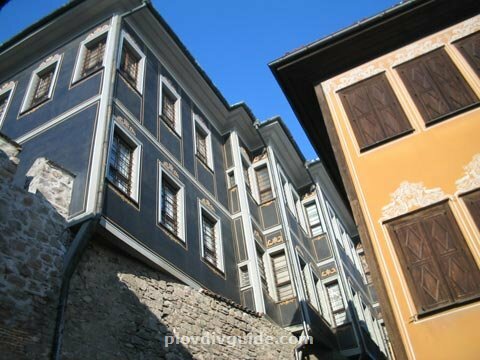 Photo 13: Houses in Puldin Str. 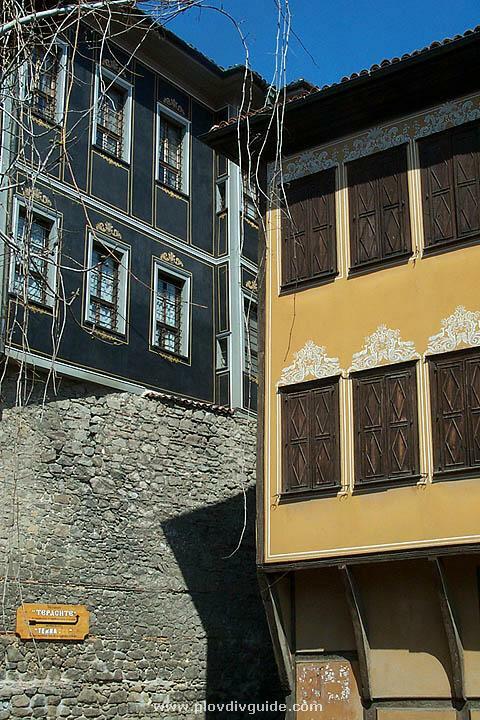 in the Old Town. 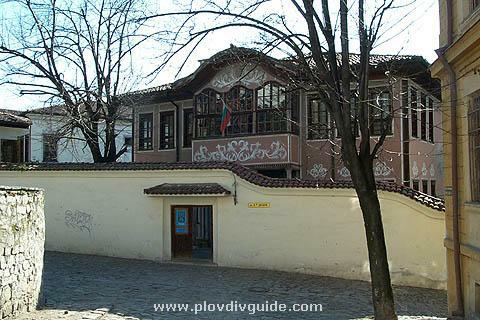 Photo 14: The Danov House - situated very close to the Virgin Mary Cathedral Church in the Old Town.The house had been a property of Hristo G. Danov - the founder of book publishing in Bulgaria, called by his contemporaries The Bulgarian Guttenberg. It was built in the middle of the 19th century. 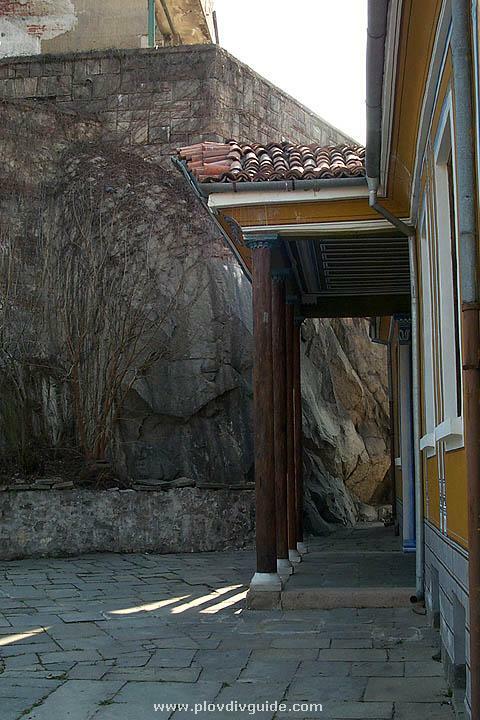 The stone foundations of the house are built on solid rock, and it allows a unique view to the town. The Russian Knjaz Alexey Nickolaevich Tseretelev lived in this house for some time. 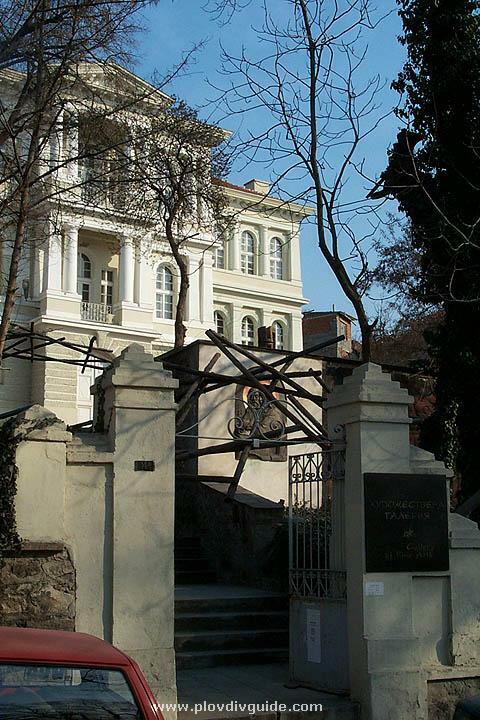 His name was closely connected with some of the most dramatic moments of Bulgarian history - the April uprising in 1876, the Russian-Turkish War in 1877-1878, and the organisation of the newly liberated Bulgarian State.Today this beautiful house hosts a special exposition dedicated to the Bulgarian book publishing. 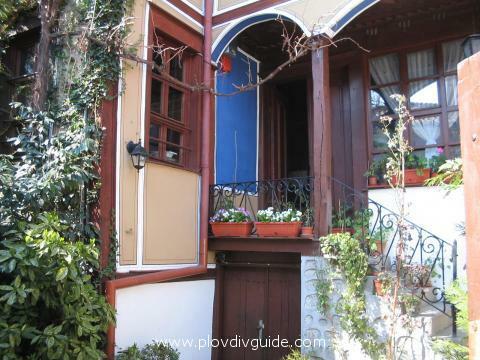 Photo 15: The Danov House - situated very close to the Virgin Mary Cathedral Church in the Old Town. 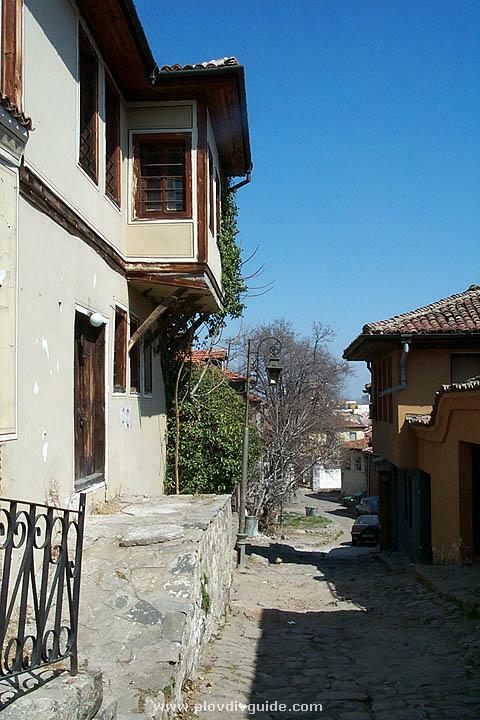 Photo 16: Houses in Puldin Str. 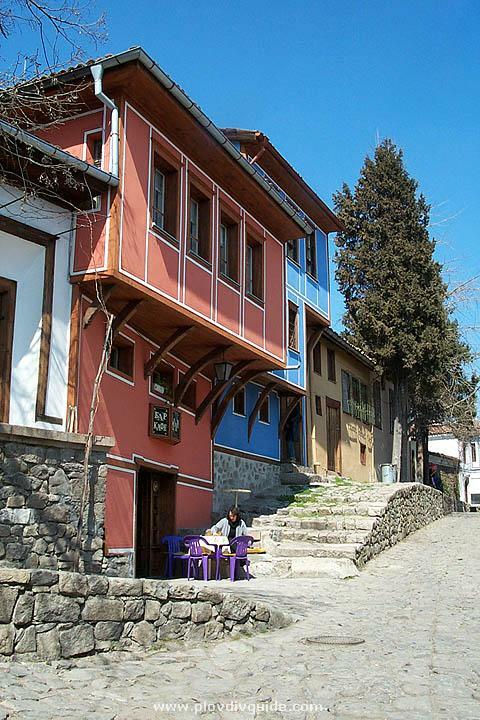 in the Old Town. 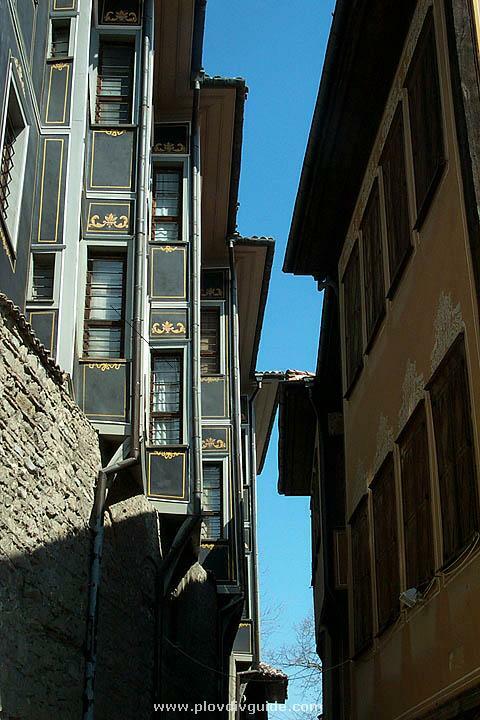 Photo 17: Houses in Puldin Str. 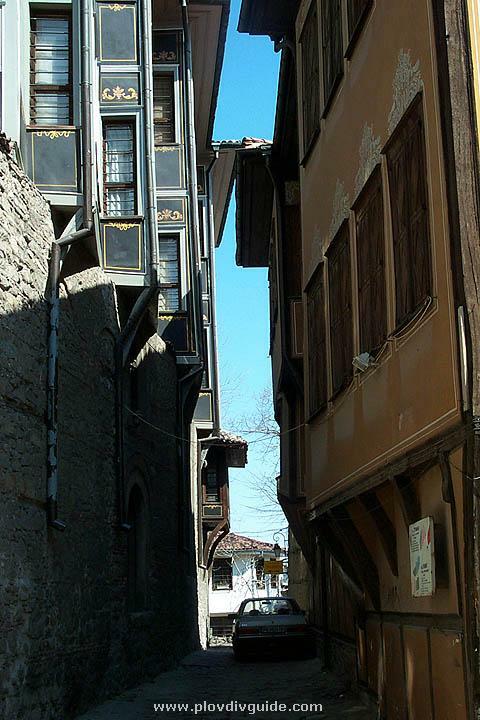 in the Old Town. 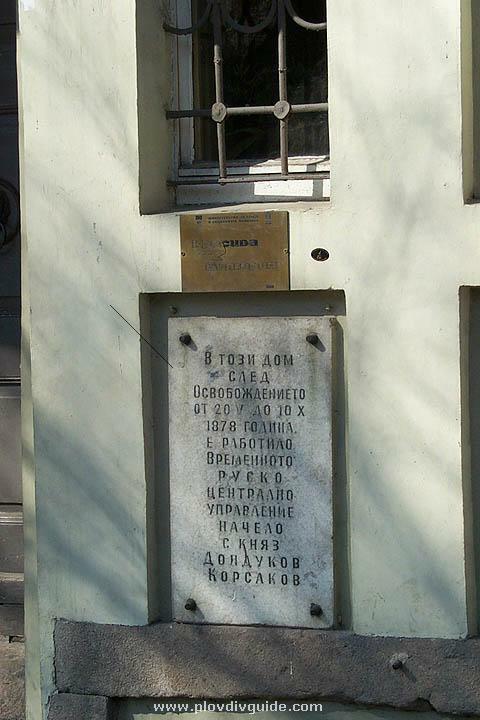 Photo 18: The Balabanov House - at the corner of Konstantin Stoilov Str. 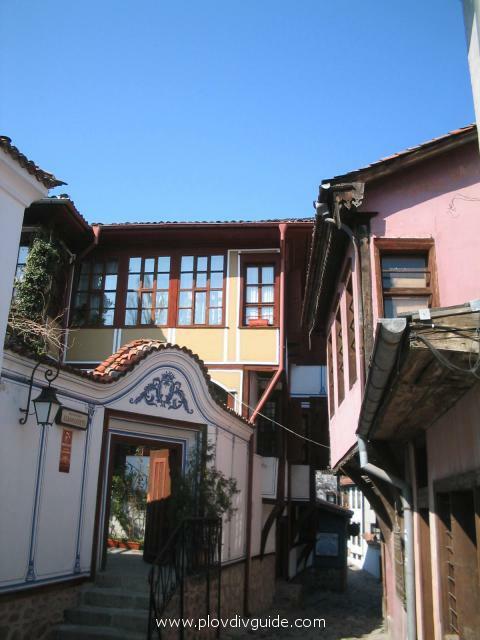 and Fourth of January Str.The house was built in the beginning of the 19th c. as ordered by Hajji Panayot Lampsha but it still bears the name of its latest owner - Louka Balabanov.The house had been completely destroyed. 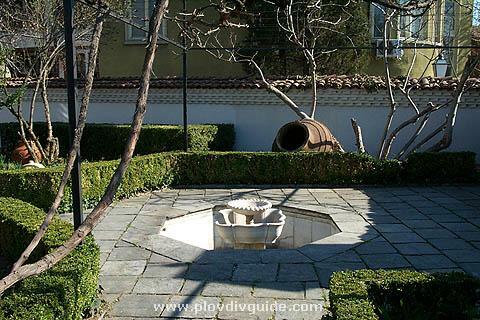 In 1980 it was reconstructed in accordance to the architectural copies made by the late Plovdiv architect Christo Peyev. 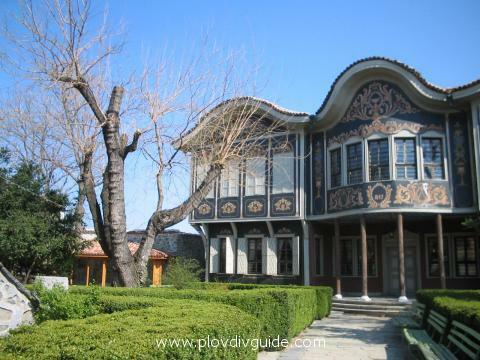 It is furnished with copies of original 19th furniture.Today the Plovdiv Municipality uses that beautiful house as a Reception Hall and it is a centre of various cultural activities. 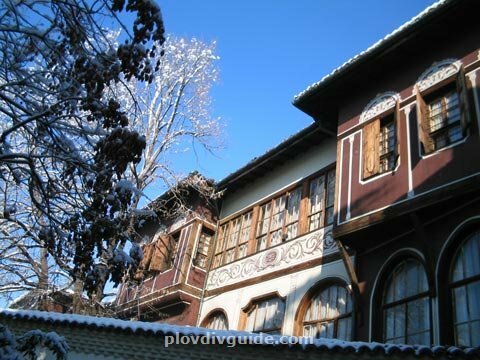 Photo 19: The Balabanov House - front view.This house bears the name of its latest owner - Louka Balabanov. 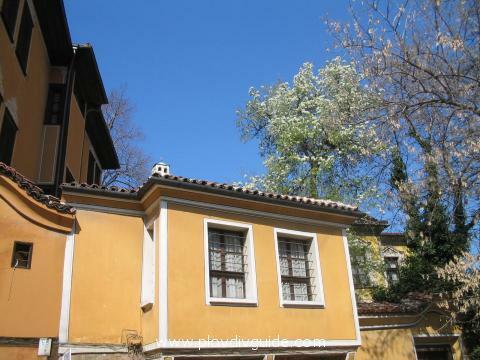 The sloping ground it was built upon had predetermined the multi-levelled basement - a stunning planning design so untypical for Plovdiv.The ceilings of the house are wooden, with embossed geometric-pattern ornaments. 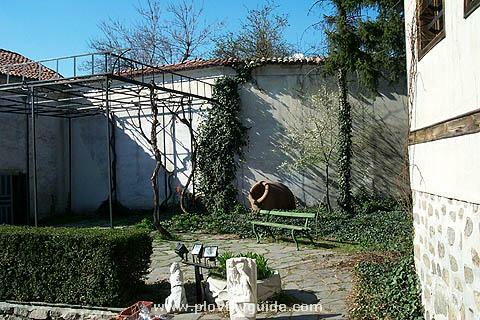 Photo 20: The Balabanov House - the yard. Photo 21: An old house in Fourth of January Str. 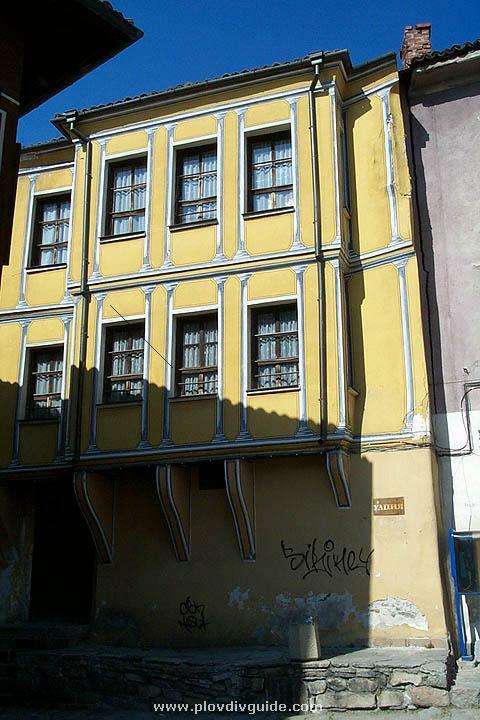 Photo 22: The charming Revival-period house hosting the Ancient Town Association, at 50 Konstantin Stoilov Str. Photo 24: Weddings are conducted in that beautiful old house at 23 Suborna Str., today known as the Old Town Ceremonial House. Photo 25: the Old Town Ceremonial House, at 23 Suborna Str.The inscription on the right side of the entrance says: In the years following the Liberation of Bulgaria, that house hosted the temporary Russian Central Administration led by Knyaz Dondukov-Korsakov in the period May 20th - October 10th 1878. 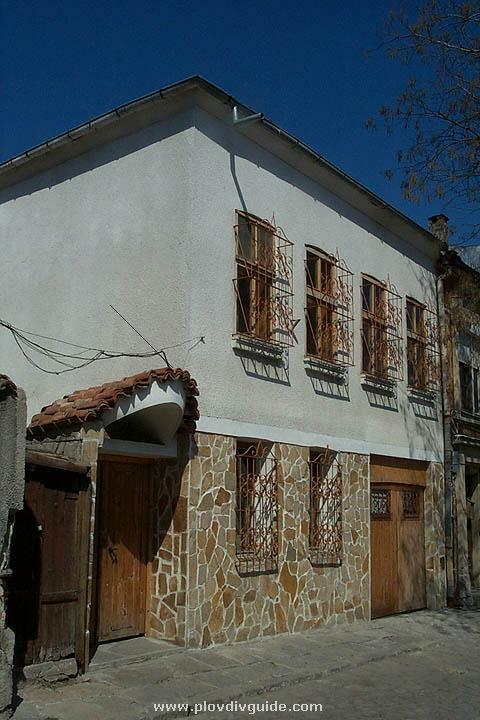 Photo 26: The Hindlian house, at 4 Artin Gidikov Str.Its owner has been Stepan Hindlian. 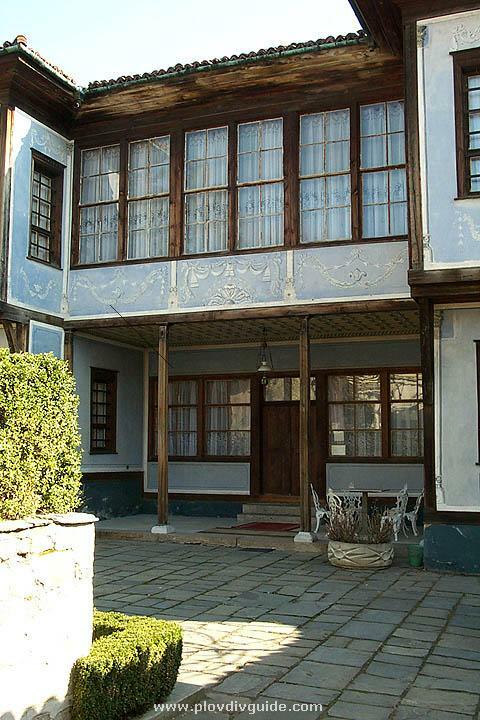 The house has been built by unknown masters in 1835-1840. 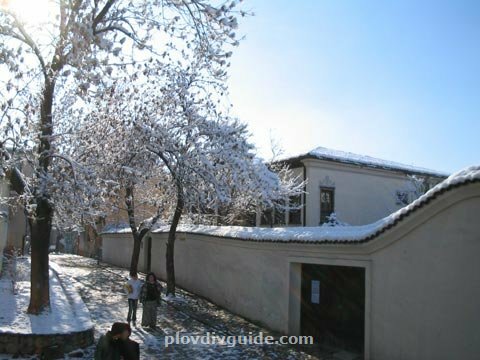 It is well known for its art decorations, with many well-preserved original frescoes. It was restored in 1974. Being a national monument of culture, it currently hosts The Exposition of the Revival Period Urban Life-style - in perfect harmony with the surrounding interior, which represents the authentic atmosphere of that period. Photo 27: The Hindlian House at 4 Artin Gidikov Str., sharing a yard with the Balabanov House.Its owner, the famous Bulgarian trader of Armenian origin Stepan Hindlian, built that imposing house as the perfect eclectic symbol of the-East-meeting-the-West architecture and furniture style. 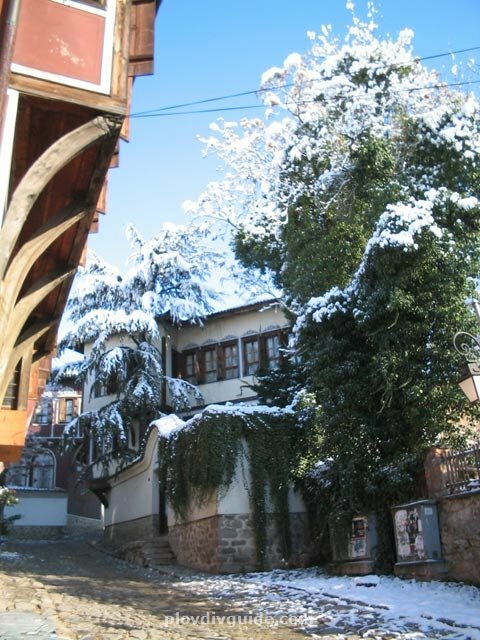 He travelled north and south and the house bears the marks of various cultural influences, yet radiating the dignity of the owners Bulgarian spirit. The niches in the walls (the so called alaphrangas) feature landscapes of beautiful cities the famous trader visited himself (the very surname Hindlian derives from Hindi / India, implying that the even his ancestors used to cross the world far and wide). 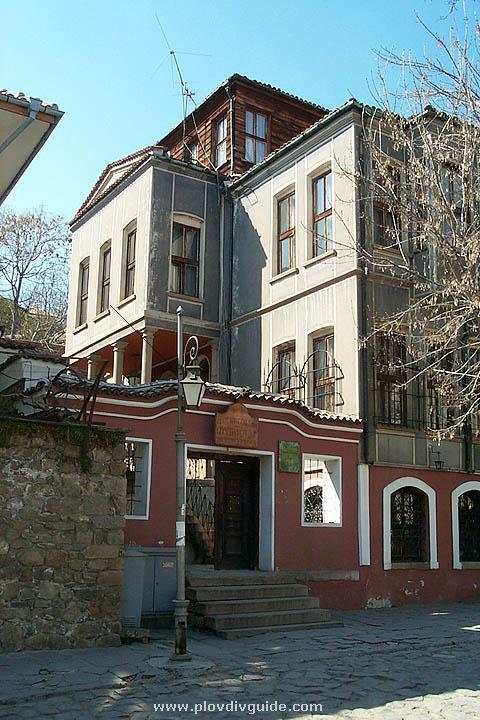 Photo 29: The Artin Gidikov House, at 15 Fourth of January Str., is situated in the northwest part of the Old Town, at the very foot of the Three Hills. 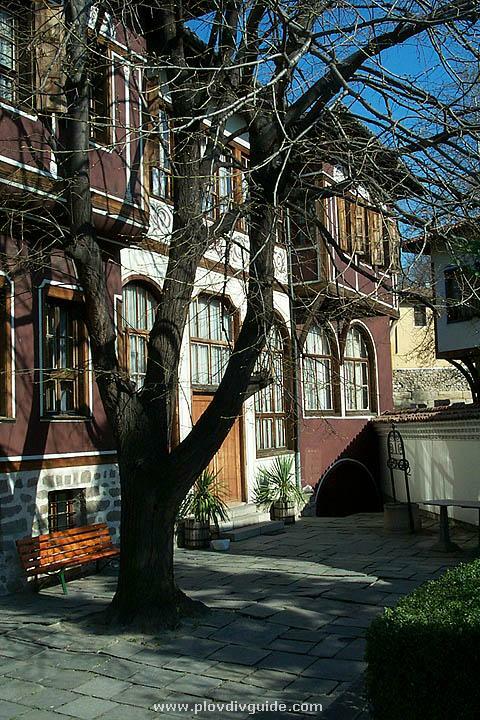 Today the Plovdiv Central Region Administration is settled in this building. Photo 30: A view from the K.Stoilov Str., with Balabanov House at its end. 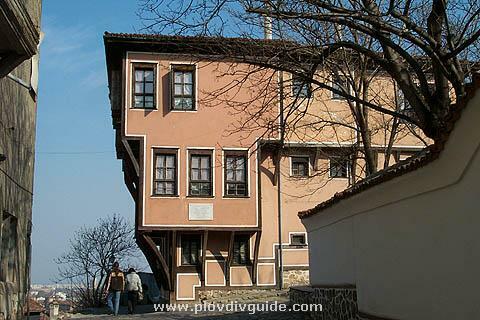 Photo 31: The Nedkovich House, at 3 Tsanko Lavrenov Str. 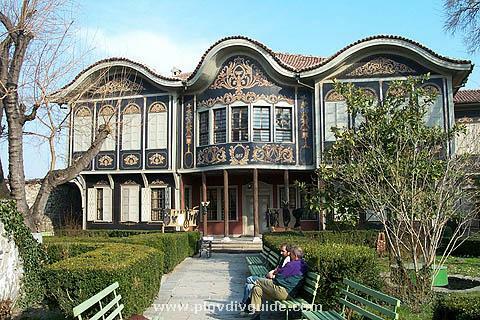 (right next to the Georgiadi House)Once possession of the outstanding merchant Nikola Nedkovich this magnificent house, built in 1863, is a classic representative of the late symmetrical house. 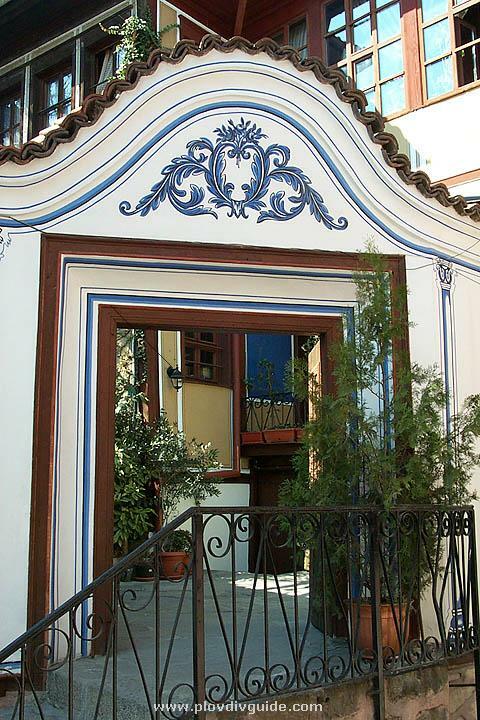 The facades of the yard are richly painted with geometrical and floral motifs. 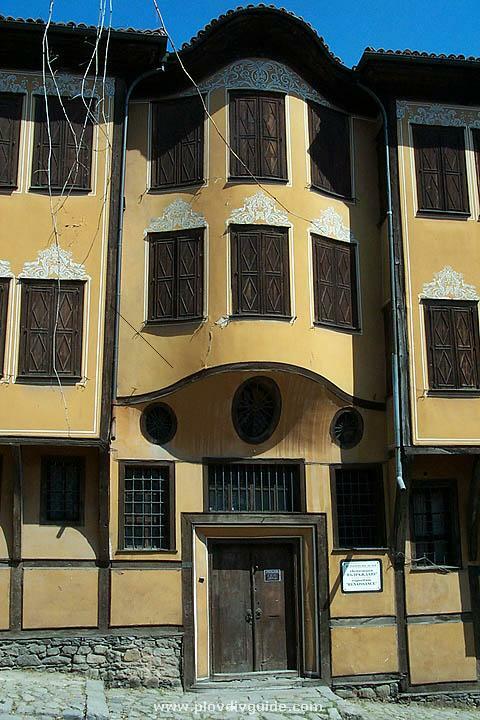 Photo 32: The Nedkovich House, at 3 Tsanko Lavrenov Str. 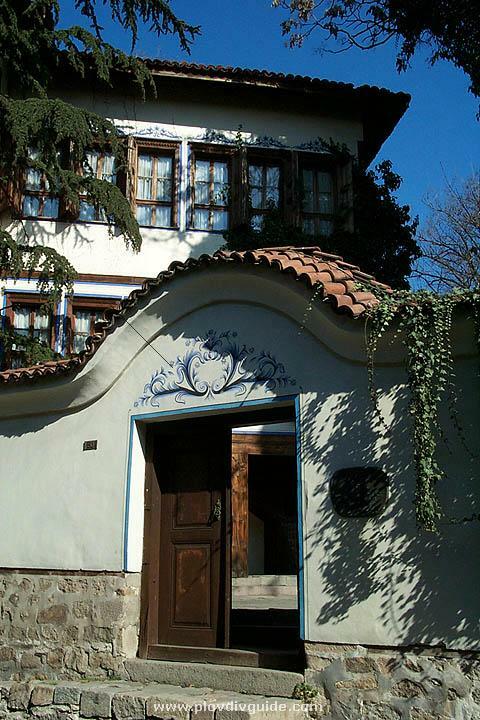 (right next to the Georgiadi House)The Nedkovich House, an authentic sample of the Bulgarian Revival Period architecture. Photo 33: The Petko R. Slaveykov House, at 4 Petko R. Slaveykov Str.The Petko R. Slaveykov House, at 4 Petko R. Slaveykov Str.The great Bulgarian poet, enlightener and public figure Petko Ratchov Slaveykov lived in that building. 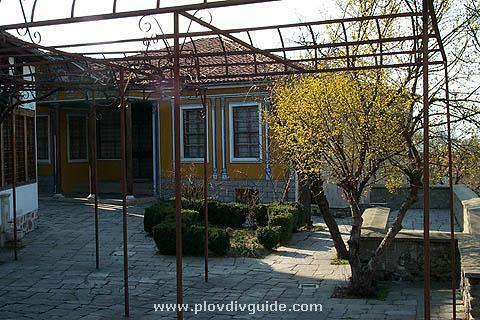 Later the Plovdiv Municipality transformed it to House of the Plovdiv Teachers. 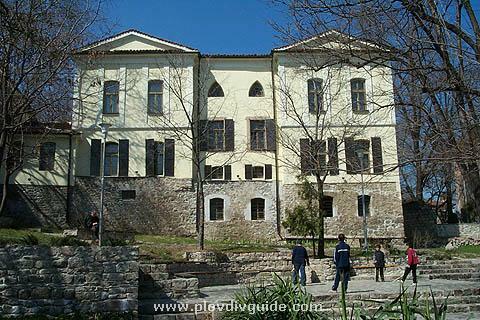 Today it hosts an exposition of the life and work of Petko R. Slaveykov, and there also is a small Antiquity shop. 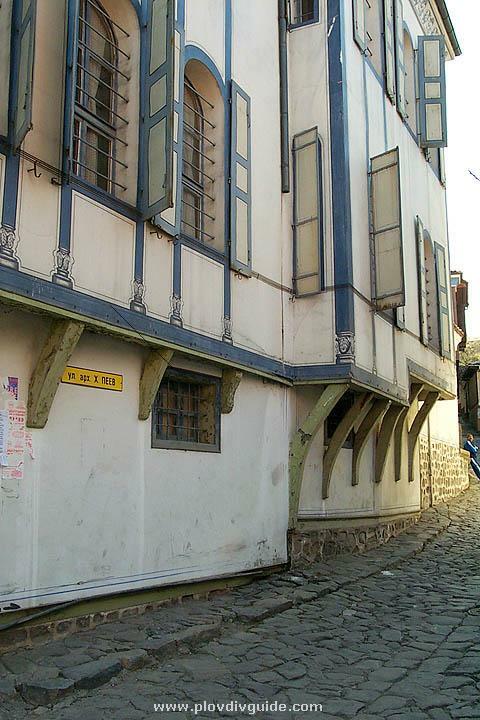 Photo 34:The Pavleti house ( Blue House).Also known as the Blue House, it is situated not far from the famous Hisar Kapia gate. 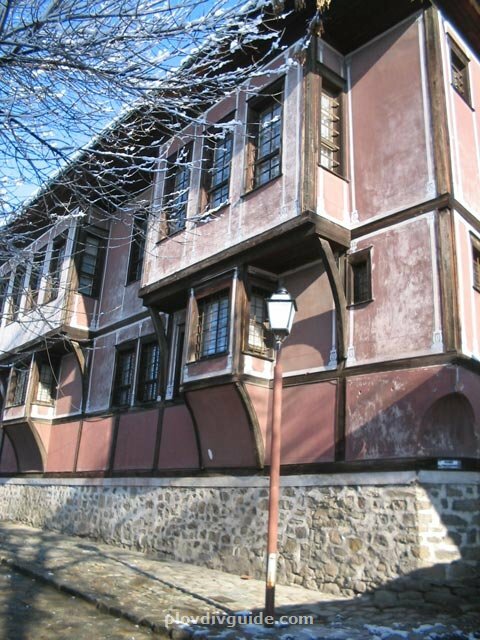 It was built in the middle of the 19th c. and is a sample of the assymetric house (though the period marked the culmination of the symmetrically planned buildings). The north-east room on the ground floor features landscape wall-paintings, as well as a portrait of a sitting man who smokes a cigarette - something truly rare and intypical for the Revival period wall-painting. The house is declared a monument of culture. 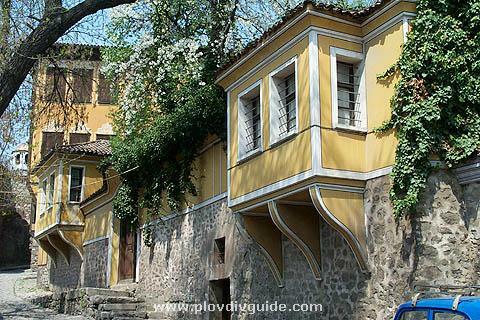 Photo 35:The Panchidis House, at 5 Petko R. Slaveykov Str.Known today as the Tourist's Centre, this is the house of the once rich Greek merchant Panchidis. 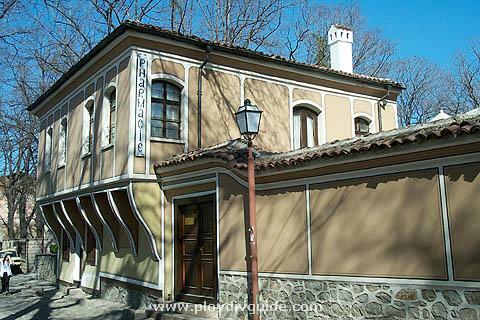 With its building method, disposition and details this house ranks among the best models of the Bulgarian architecture of the National Revival Period from the second half of the 19th century.The displacement of the yard area is skilfully made up with the help of a double stone staircase with an iron railing. A marble fountain is built in the middle part of the staircase. Photo 36: The "Alaphrangite" Restaurant - at 17 Kiril Nektariev Str. 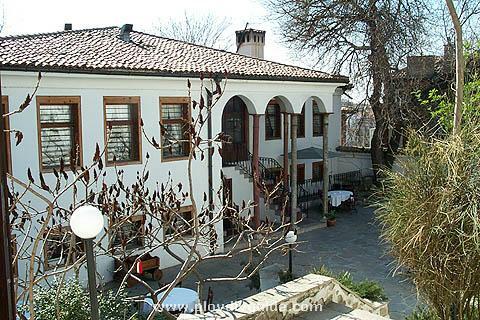 An authentic Revival Period house turned into a beautiful place to spend some fine hours...The name of the restaurant is the Bulgarian for alaphrangues - these are specific niches in the Revival Period houses, usually containing a landscape or some floral motifs - used for additional decoration of the room. 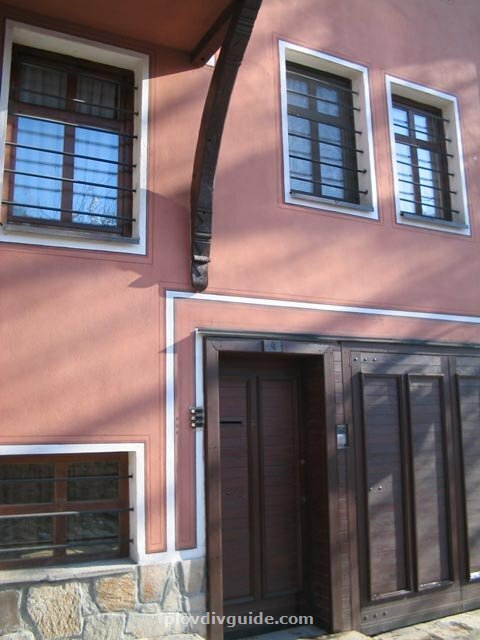 Photo 37: The Danchov House - on the crossing of Arch. 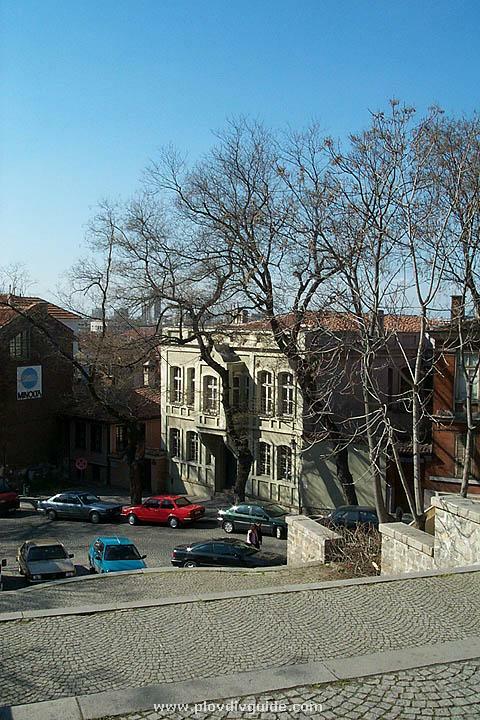 Hristo Peev Str. and Kiril Nektariev Str. 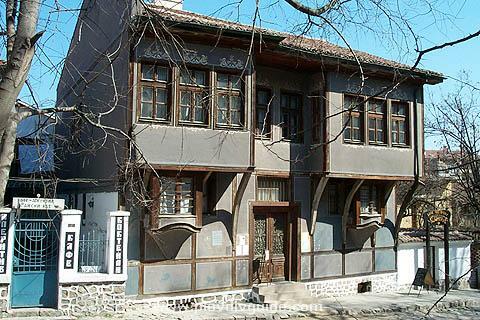 This imposing Revival Period house is situated in close proximitly to the Hissar Kapia Gate, and is a monument of historic and architectural importance and it is turned into the Restoration Center Dantchov's House.Its purpose is to support the development of skilled crafts and craftsmanship in Bulgaria in following activities: vocational training for craftsmen, consulting for startup craftsmen, application of ecologically safe technologies and energy preserving materials in civil construction and in the restoration and preservation of historical buildings.The Restoration Center is created by The Artisan Chamber of Koblenz (Germany) and the Plovdiv municipality. Photo 38: The Hippocrates Chemist's in Dr Chomakov str. An authentic old chemist's, recently restored. You can see the old containers for mixing various powders in order to prepare the medicine required. Photo 39: The facade of Hippocrates Chemist's. 40. House in Omurtag Str. Photo 40: A beautiful Revival-period house in Omurtag Str. 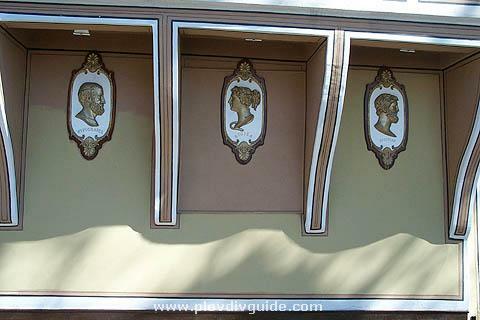 -now the fine Apollonia Restaurant.